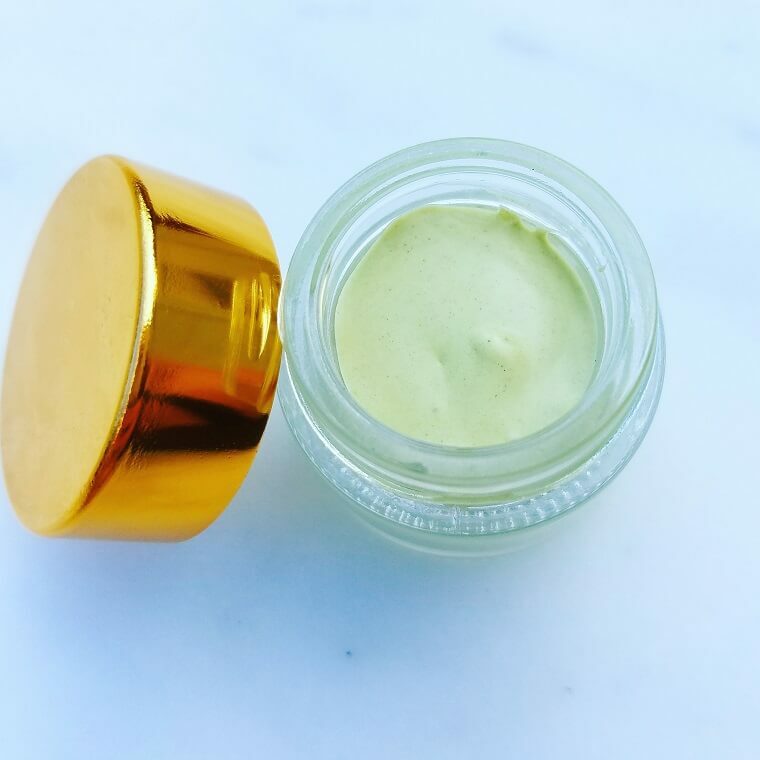 This intricately woven mask made with 100% grade A Xuiyan jade which is a healing semi-precious stone which compliments the natural skin care regimen. Known for its calming and healing properties, jade helps emit healing energy into the liver, gallbladder and kidneys. Healing the stressed organs slows the process of cell aging and helps detoxify the lymphatic system. 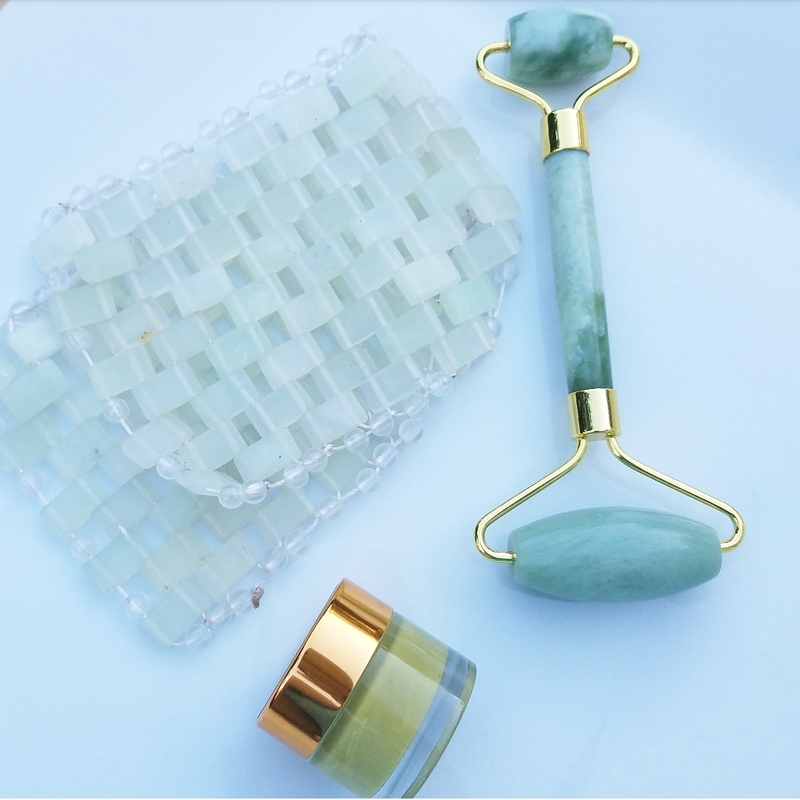 The coolness and weight of the jade helps relieve sinus issues, closes pores and reduces puffiness and wrinkles. Jade remains cold while in contact with the skin and this helps to close the pores and tighten the skin. Also a good use for meditation, the jade helps calm the soul and brings about deep relaxation and tranquility. The stone is naturally cool to the toch. However, putting the mask in the fridge before use will make it an extra nice treat. The Chi Jade Mask can also be used warm by simply soaking it in hot water for a few minutes. Make sure the mask is dry and not too hot for the skin before laying over the face. Whether hot or cool, feel the tensions fall away, lines soften and soul rejuvenated. These are delicate, always handle with care. Habs rinse with water and gentle soap after each use. Pat dry with a towel and lay flat to dry completely on a dry towel. Stone size and color may vary due to handmade nature. Small imperfections are common in natural stone.